Um, I don’t know if you know this, but bed frames are just as expensive as mattresses. No can do. 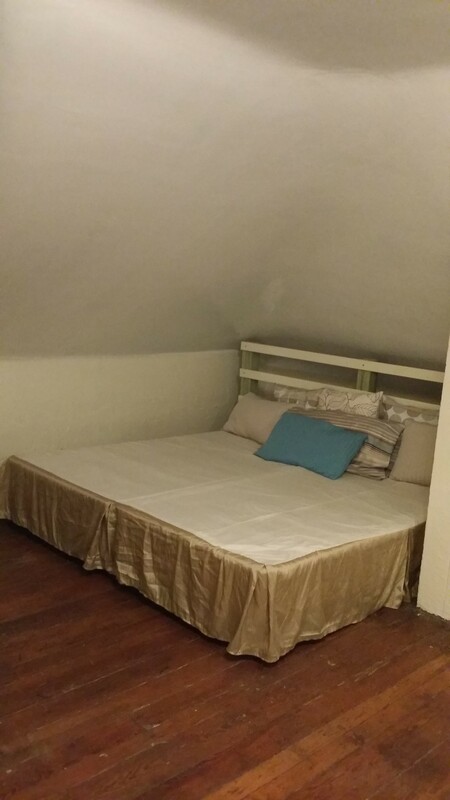 I was tempted to just throw my mattress on the floor rather than take out a loan to finance a new bed frame. Then a stroke of genius! Why not just build it? I mean really. 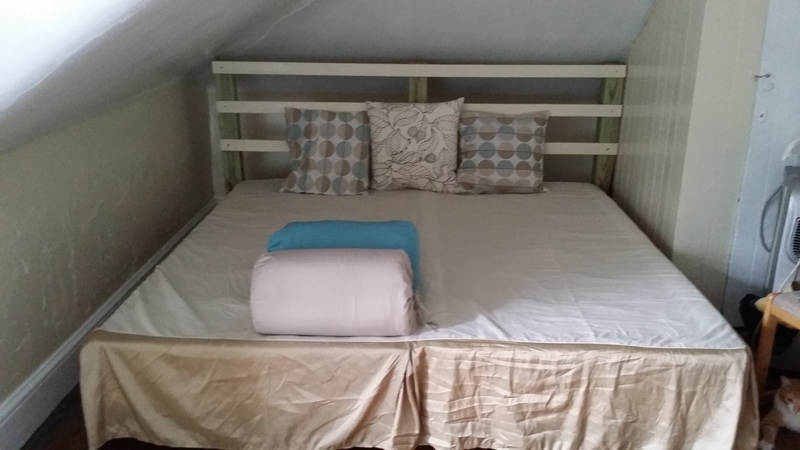 The function of a bed frame is to get you off of the floor and give you something to lean on when you’re sitting up in bed. How hard could that be? I went to Loews and browsed their furniture accessory aisle. They have a variety of short table legs that screw into a metal top plate. I bought 12 top plates and 12 legs for my king size bed. 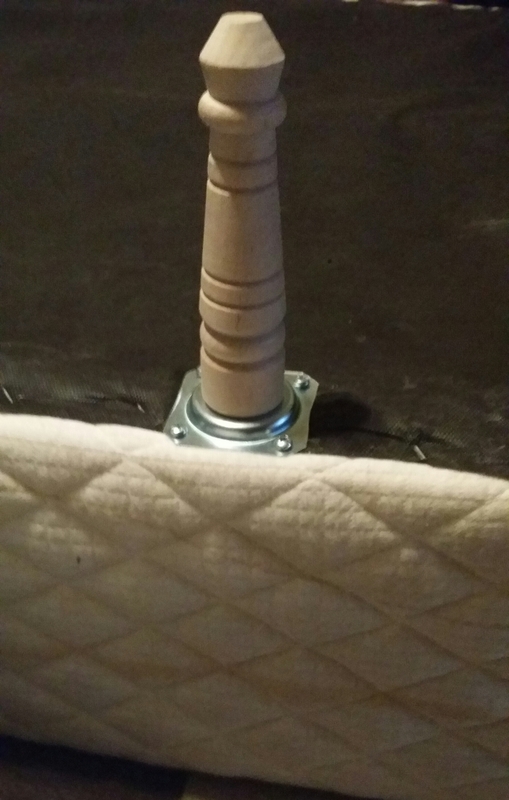 I screwed the metal top plates into the wooden frame of my box spring and then screwed in the legs. 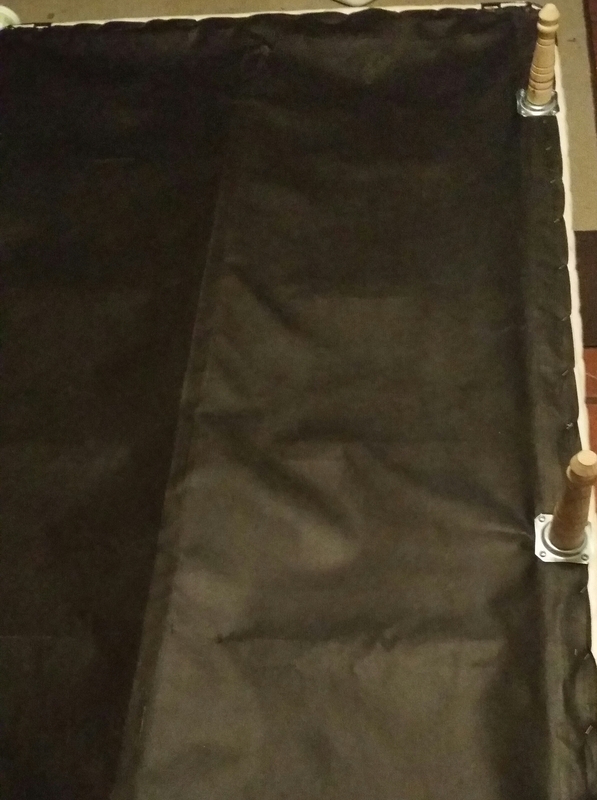 After setting the box spring up on its new legs, I started working on the headboard. The headboard was way cheaper. I bought a deck post measuring 4in by 4in by 12ft for about $16. I had them cut it right at the store into three separate 4ft posts. Then I bought three furring strips measuring 1in by 3in by 8ft for $1.72/ each. 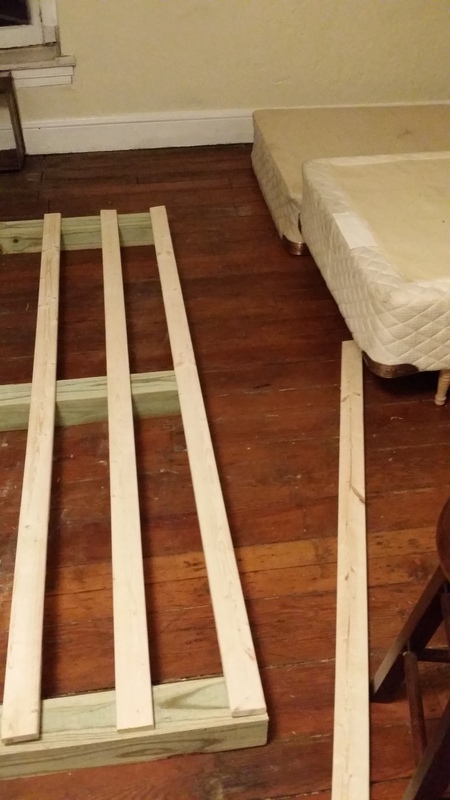 I cut each of these down to 67″, the length of a standard king size head board. The only thing left to do was to screw the furring strips into the posts. 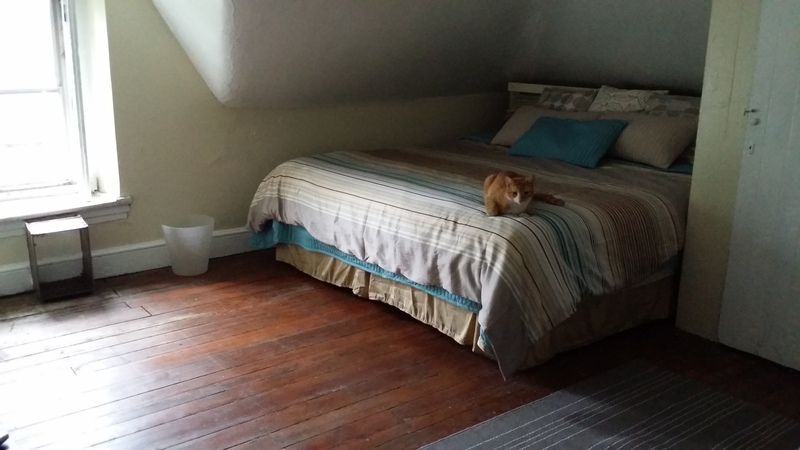 Just like that, I had a cool, quirky kind of headboard and bed frame that really blended into my attic bedroom. What was supposed to be a temporary solution turned into one of my favorite features in the room.